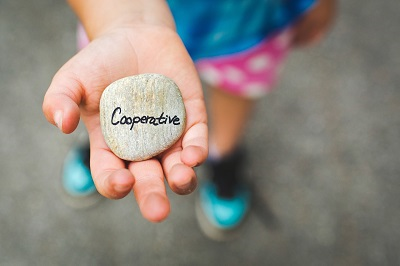 After finding a lice infestation on one of her kids, my neighbor tried to deal with the problem herself by buying some traditional over-the-counter products. I wish I’d know what she was up to and I would have told her that many of the over-the-counter products are harsh, toxic and not very effective. When my daughter was sent home with lice a year ago, I didn’t even try to do it myself. The very thought of trying to get rid of the live lice and nets was so overwhelming that I immediately called for professional help. I wanted someone to come to my house and fix the problem. 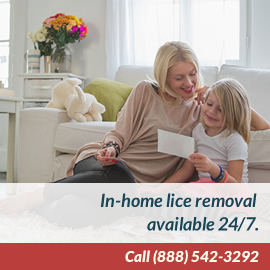 After a little Googling, I found the Lice Treatment Center®, a service that promised to send only professionally trained lice technicians to conduct its lice treatment services. The website promised that the LTC technicians are trained in its physician-designed protocol and use only the LTC™ line of pediatrician-formulated non-toxic lice treatment and repellent products to conduct the lice removal treatment. LTC™ Olive Oil Treatment, Treatment Shampoo and Treatment Conditioner. LTC™ non-toxic Fabric and Upholstery spray, Helmet spray, and (for camps) a Bunk Spray. LTC™ Daily Prevention Shampoo, Daily Conditioner and Leave-in Conditioner Repellent spray. The experienced professional LTC® sent to my house brought all the LTC™ products and tools needed to check my whole family, evaluate my home environment and then treated all my infested family members (and two neighbor’s kids). The lice checks entailed careful inspection of each head. She found live lice or nits on two of my kids, so she began the several steps involved in removing the lice. She explained each step as she went along. First, she massaged the LTC™treatment shampoo thoroughly into both scalps and left it on for about 20 minutes. Then she divided their hair in small—about 1/8”—segments and combed through each one meticulously removing dead bugs and nits. She explained that the shampoo does not kill the lice nits, so combing them out is critical. After the comb-out, she applied LTC™ treatment conditioner, then rinsed it out and applied LTC™ Treatment oil to the scalp. The oil was left in the hair overnight and we had to shampoo and comb through their hair the following morning. The technician explained that everyone she treated must follow the specific aftercare protocol outlined by LTC procedure for at least 7 days to ensure total lice removal. It’s crucial to pick out all dead nits and viable eggs or else lice will return. With careful attention to the Aftercare directions, anyone treated by this process will be lice-free. By the way, my neighbor finally gave up after several hours of combing and call LTC too! For more information about how to get rid of head lice, visit www.licetreatmentcenter.com.